December 20, 2012 (Santee) – The San Diego Better Business Bureau (BBB) has announced that Santee resident Kay Toma, a senior attending Francis Parker High School, has been awarded a $1,500 cash scholarship from the BBB after writing a 400-word essay on the importance of ethics and integrity in the community. 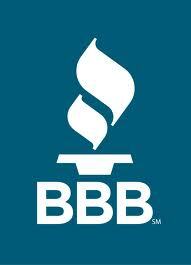 September 1, 2012 (El Cajon) -- The San Diego Better Business Bureau (BBB), San Diego’s largest county-wide business membership organization, will host a BBB business-to-business (B2B) networking mixer from 4 to 6 p.m., on Thursday, Sept.6, at Toyota of El Cajon, 965 Arnele Ave., in El Cajon. The public is invited to attend. March 13, 2012 (El Cajon)--The Cajon Valley Republican Women Federated will hold its monthly meeting on Tuesday, March 20th at 7:00 a.m. at The Pancake House restaurant, 1000 North Second Street. The guest speaker is Attorney Jim Miller a candidate for Superior Court Judge Seat 25. Mr. Miller is experienced in both civil and criminal law ,and has been certified as an arbitrator by the Better Business Bureau and the San Diego County Bar Association. February 21, 2012 (San Diego) -- Timeshare owners across the country are being scammed out of millions of dollars by unscrupulous companies that promise to sell or rent the unsuspecting victims’ timeshares, the FBI has warned. October 17, 2011 (San Diego) -- The San Diego Better Business Bureau (BBB) is inviting all 11th and 12th graders to write and submit up to a 400-word essay on the importance of marketplace ethics and receive up to a $1,500 scholarship from the BBB. The presenting sponsor of the BBB’s scholarship program is Sycuan Casino in El Cajon. Last year’s winners included two high school students from East County high schools. December 30, 2009 (El Cajon)--Toyota of El Cajon has been honored for ethical business practices by the San Diego Better Business Bureau (BBB), San Diego's largest county wide business organization. The local auto dealership managed by brothers Gary and Greg Kaminsky was selected as a winner of a 2009 BBB Torch Award for Marketplace Ethics in the 100-to-249 employee category. In all, 20 companies from throughout San Diego County were recently honored by the BBB either as a winner or finalist of a 2009 Torch Award, and Toyota of El Cajon was the only East County-based business to be honored.